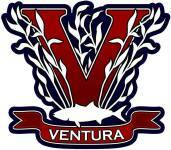 Ventura Sportfishing is the county’s new sportfishing landing and tackle shop. Located in the Ventura Harbor, right off the 101 Freeway in Ventura, California. Offering daily fishing trips to Anacapa, Santa Cruz, Santa Rosa, San Miguel and San Nicholas Islands. Each vessel is safety certified by the United States Coast Guard and staffed with only the most friendly and professional crews. The landing office has a full tackle shop with rental equipment and fishing licenses. Call for more information or reservations.